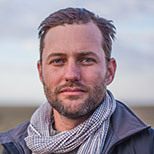 Jason Mark is author of Satellites in the High Country: Searching for the Wild in the Age of Man. His writings on the environment have appeared in The New York Times, TheAtlantic.com, Salon.com, The Nation, and the San Francisco Chronicle. He is the editor of SIERRA, the national magazine of the Sierra Club. OPINION: Does a place still have value if it is of no use to humans?